Presskit(), pitch contest and editor voodoo coming up! This week I’ve been working on a presskit() which will be launched within the next week (hopefully). 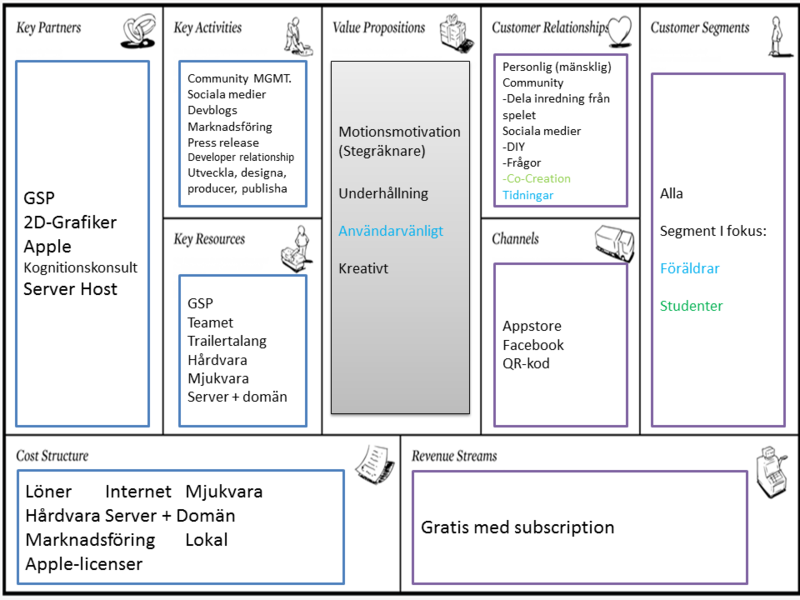 The main purpose is to give the press an optimal way of retrieving company information. History and Description is still under work! 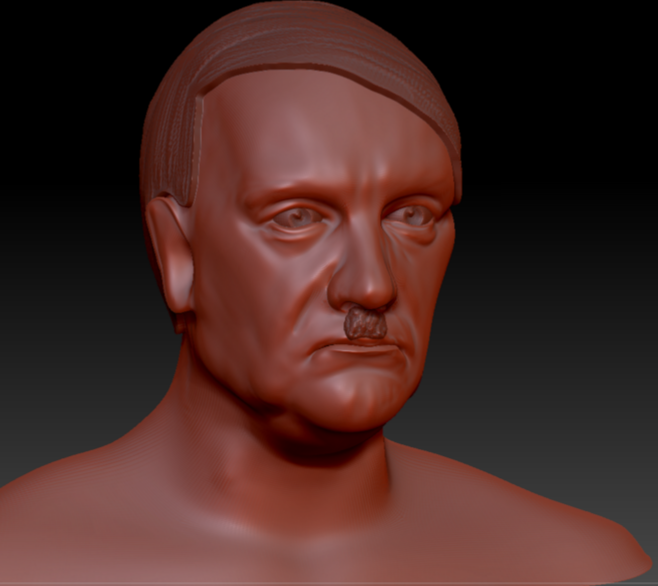 On the side I’ve been a radical rascal, sculpting Hitler’s head in Z-brush. Got one more week before it has to be finished for a school assignment. 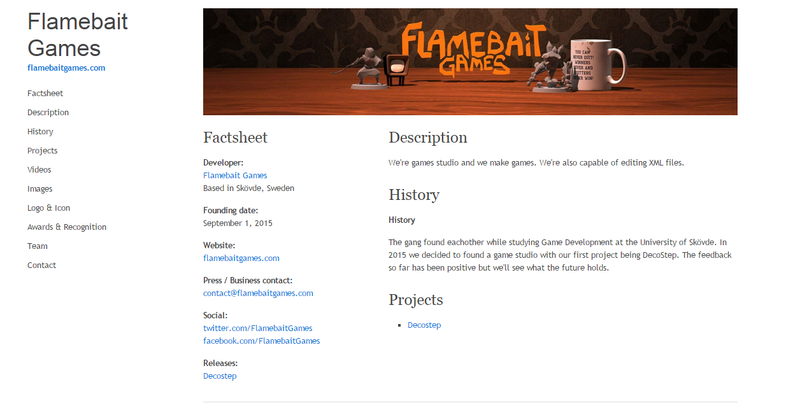 More Presskit() and figuring out monetization method. Not a lot of FB-related things has been achieved on my front this week. I created a clay figure for a school-project though. And during the next couple of weeks I will try to create a game character with a stop-motion styled set of animations, here’s a stream of water that demonstrates what I have in mind. 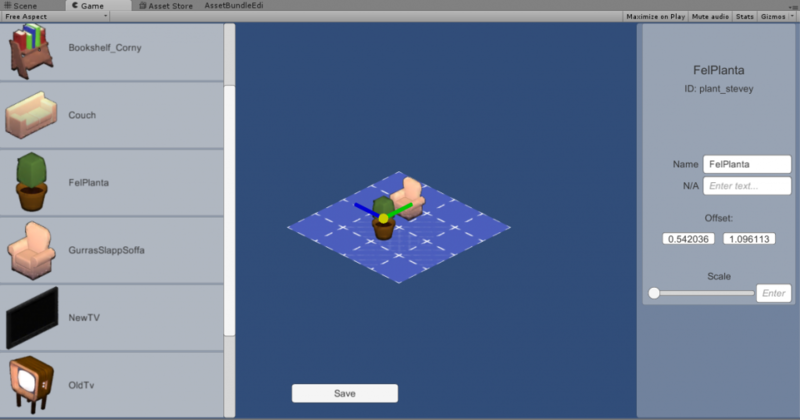 Next week I will work on the User Interface a bit more. See you later, animator. 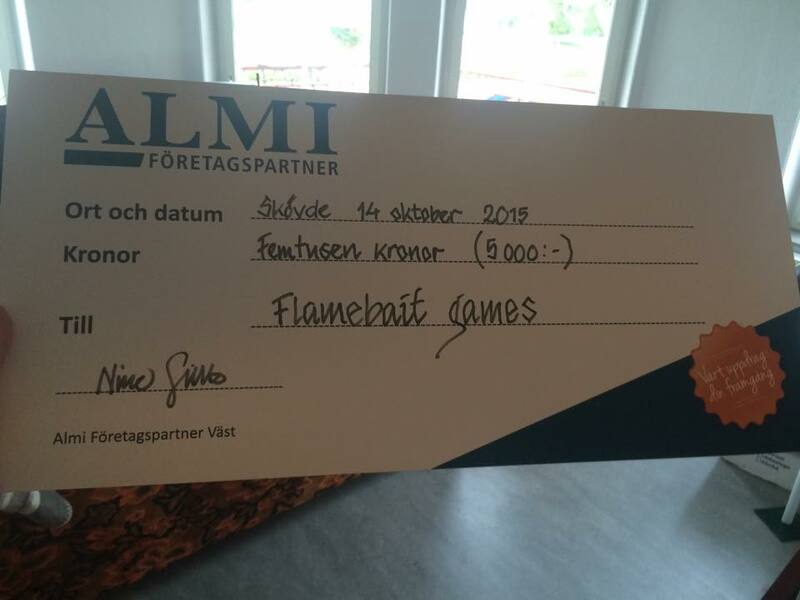 We came in at third place in the pitching contest! Amazing! We also got featured on a radioshow and in two local newspapers! Amazing! More about this in a blog post coming soon! This coming week I’ll be working on some more concepts for the in-game music! 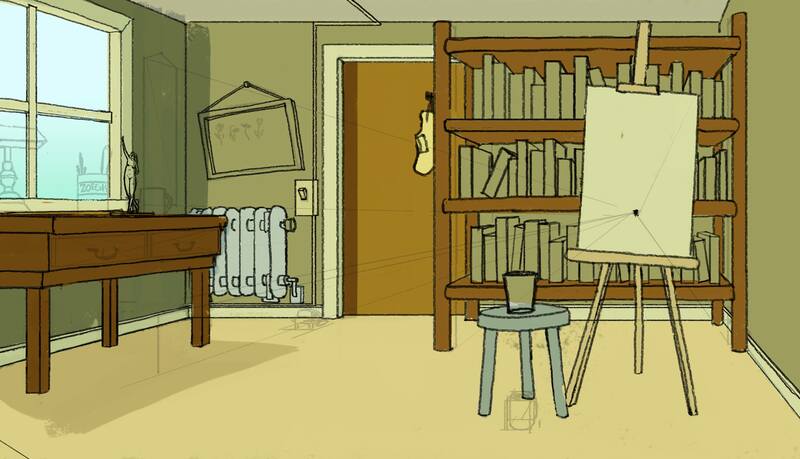 We’ve decided to skip the ugly lambert shaders in favor of super cool toon shading. The look closer matches the concept art done by our awesome concept artist Hong and also gives us more control on what colors should look like in different lighting conditions. 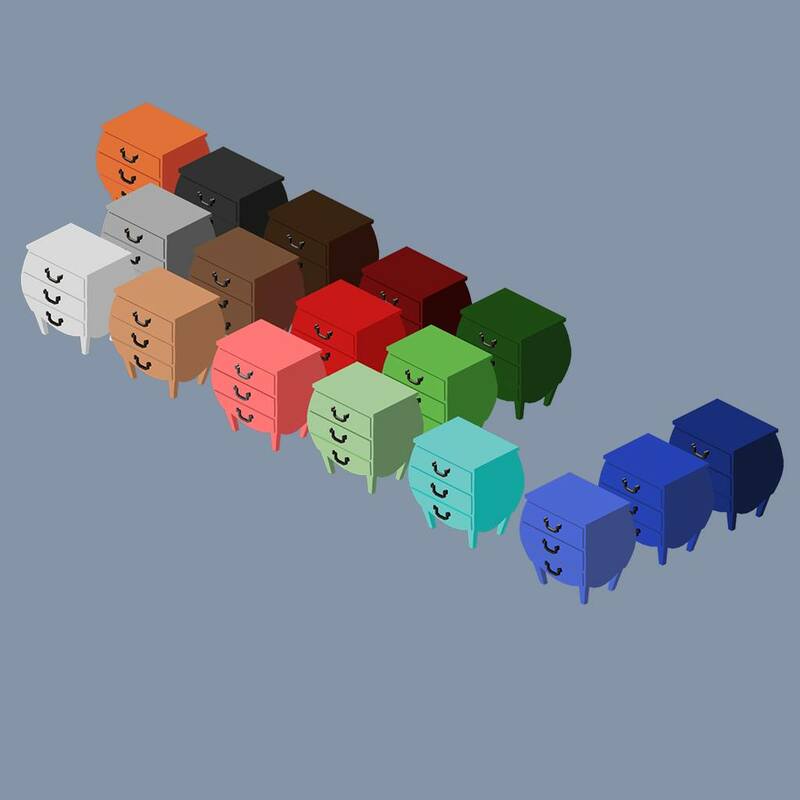 The idea is that we can make a 3D model and since they’re prerendered in game we can skip UV mapping and simply assign the base color we intend for the object to be. It saves a bit of time and avoids unnecessesary workload. The drawback for this is that we wont be able to use the assets for other purposes such as real time rendering without a bit of work first. I’m making progress on the side project, albeit pretty slowly. I got tired of drawing the concept art but between this post and the last I’ve reworked the legs of the table and added some color. 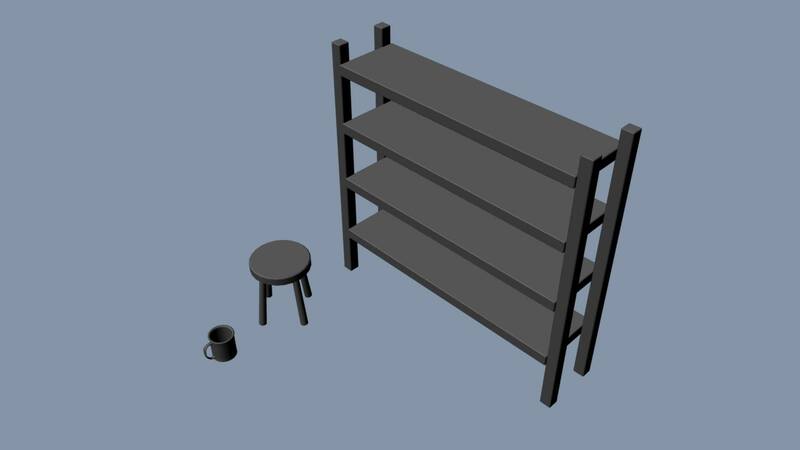 I’ve also started modelling some assets for the final 3D scene. Next week I’m going to be working on UI design and hopefully some more furniture. From the side project I’ll be making more 3D assets and if I have time I’ll start implementing them in Unreal Engine along with some lighting. I’ve been seeing to some editor action as I’ve made an in-house furniture editor. It’s primary function is to simply some aspects of adding furniture to the game like assigning offsets and adding it to a bundle. The editor consists of two parts. 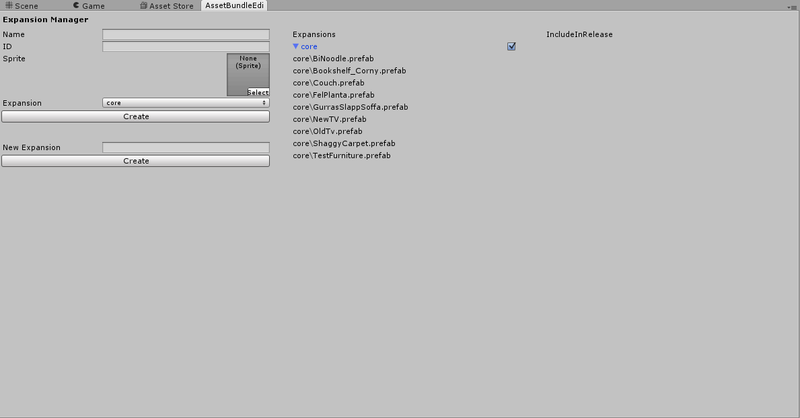 The first part is a window done inside of unity, making it dockable inside the editor. As you can see it’s still about rough around the edges, but it will still do the job. This window is used for managing the furniture in relation to the AssetBundles. In this editor AssetBundles are referred to as Expansions to be more clear on the intent of an otherwise generic component. This part of the editor is actually a scene, so the user would need to run this in-order to do any editing. This is due to the difficulty of representing the isometric nature of the game without running it. While running it, the user can modify the properties unique to each furniture such as offset and scale. Shop & Inventory are getting fully implemented, so stay tuned for awesome UI solutions!